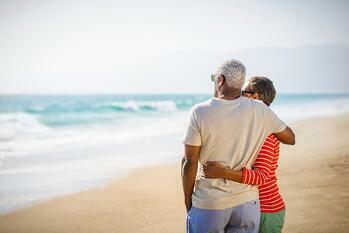 It is estimated that 1 in 3 Americans have saved little or nothing for retirement. If you find yourself in this type of situation and retirement is just around the corner, there are some things you can still do to catch up. Here are some tips on catching up on your retirement fund before you leave the workforce behind. You may be at a point in your life where you have more disposable income, which means you should also be putting more in savings. If you are over the age of 50, you can contribute an additional $1,000 into your Roth IRA totaling $6,500 every year. You can also invest an extra $6,000 in an employer 401k resulting in a total of $23,000 each year. Take a look at your taxes and take advantage of your available deductions. You can then put these savings towards your retirement. This may not be for everyone, so it’s a great idea to sit down with a professional so they can help you through the process. Although it’s not ideal, it’s better to put in the extra time and retire better prepared. During this time, you can also receive a higher social security benefit. Full retirement age isn’t until 66 or 67, but if you wait until 70 to claim benefits, they can increase by about 8% per year. After turning 70, there are no more increases. Getting rid of things like a car payment or a mortgage will help save you money in retirement life. Keep paying off those credit card bills monthly. Leaving a balance may cost more in interest over the years. If you have a lot of equity in your home, consider downsizing or refinancing all together. For ideas on how you can start saving for retirement at any age, check out our by the decade planning for your 20's, 30's, 40's, 50's, and 60's.